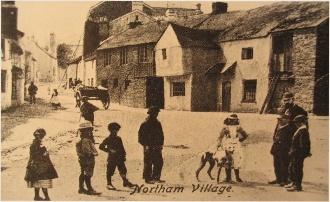 The Minister of Halberton, North Devon, described the general sanitary conditions of the village as very bad, peasants cottages were picturesque on the outside but were unfit for the housing of pigs. Pools of stagnant water stood in many parts of the Parish.Open sewers ran through it, trickling down from the cottages into the village brook, from which the cattle, villagers and the children drank. The lowest fare across the Atlantic was £3.10s., not a high price for the respectable farmers and their families, but for an agricultural labourer with a wage of 7/6d. a week it was an impossible dream. Neverless many made the journey with the help of relatives and occasionally the Parish, as it was cheaper to send the poor away than to keep them on Poor Relief. Life on board was tolerable, certainly no worse than life in the cottages that the emigrants had come from. Most would be accommodated in steerage, in damp, unheated living quarters. A cook would only be employed if there were in excess of 100 passengers. Each, for the six week journey, was allowed 2-3lb. of bread, 1lb.wheaten flour, 5lbs.oatmeal, half lb. sugar and treacle, 2oz. tea and 21quarts of good water. There were however many fatalities due to the Atlantic storms, disease and the freezing temperatures in the ice floes off the Canadian coast. The West Country vessels were reasonably well run, compared with those coming from Ireland. In a mass exodus, due to the potato famine and disease, many passengers died of cholera and typhoid on the voyage and on ships held in quarantine off Grosse Island, 30 miles east of Quebec, on the St. Lawrence River. In this secluded spot an inscription reads, Here lies the mortal remains of 5294 persons, who flying from pestilence and famine in Ireland in the year 1847, found in America but a grave. I was born at Goffs Cottages, Northchapel on 14th.December 1917, when my father was serving in the Coldstream Guards, joining my brother Arthur and sisters Doris and Irene. In 1923 the family returned to Lower House Farm, Fernhurst after staying in accommodation on Upperfold Farm. It was a lovely old house with plenty of rooms, one full of oak paneling. The large kitchen had an open fire and a cast iron range, regularly cleaned by mother with Black Lead, kept cool with brick and quarry tile floors and shelves. All bedrooms were painted green and had beams, taking many candles to get decent light. We soon got used to the sound of mice scratching on the floor above, but was very cold in winter (remember deep snow), however the rest of the year was lovely. We had a telephone on the wall, for farm use only, with the hard to remember number Fernhurst 24! We had a phonograph with a large brass horn, three foot long, with two cases of cylinder records. I can recall one song sang by Billy Williams, I must go home tonight. It went like this, I must go home tonight, I dont care if its snowing, blowing, I know that I am going, I must go home tonight. A cats whisker radio made by Arthur kept us in touch with the world. The farm supplied most of our food, milk, cream plus we shot rabbits and collected mushrooms. There were cattle, sheep, horses and chickens. I would often find nests with 12-15 eggs around and about. Corn and grass for hay was grown, along with mangolds, swedes and turnips. Haymaking was a special time with a barrel of beer in the barn for the men (sometimes I had a taste). All farm carts, rollers, harrows plus grass cutting and harvesting machinery was pulled by big Cart Horses as well as the ploughing. Stationary engines were used for cutting up mangolds, chaff and cow cakes. Harvesting the corn with the old Binder and Threshing Machine was fascinating; I helped to put up the sheaves in, it seemed, always hot sunny weather with many rabbits and rats being despatched during this process. An Elevator was used to build about five ricks, which with the thatching took several days. My father was an expert in this and when they nearly reached the top the men would shout come on Henry!, and he would stand on his head. One rick caught fire due to internal combustion and the fire brigade, from Haslemere, could only get part way, as there were no roads, so they had to use numerous hoses to put it out, took three days. I would walk the 5mile round trip to and from Fernhust school, wearing Wellingtons for the first mile or so and then changing to shoes when I reached the made up roads. My hobbies were tending the flower garden, looking after a dozen budgies, making small jig-saw puzzles, going rabbiting with my brother-in-law and belonging to the1st. Fernhurst Scout Troop. Welcome to our family website! 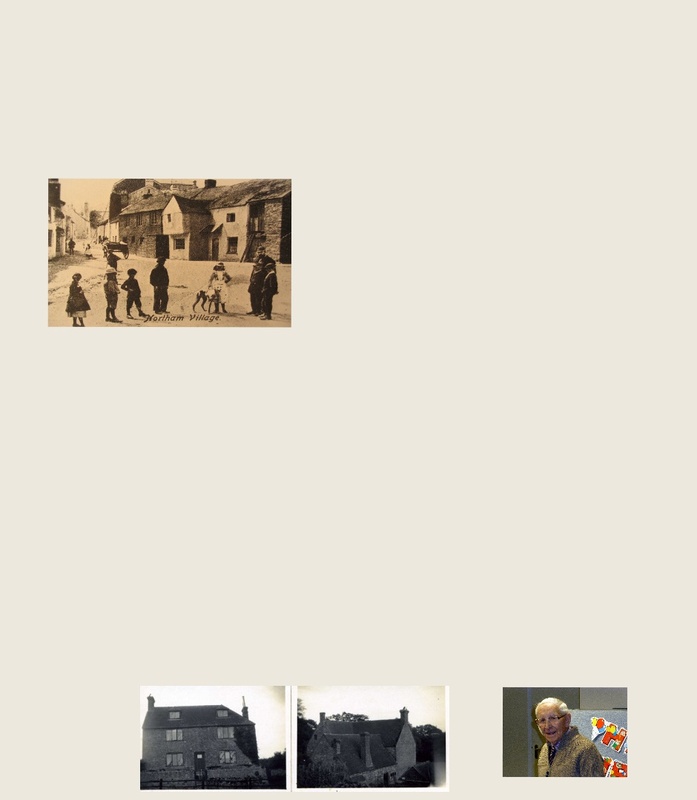 Here you will find stories and pictures of some of my direct decendants, including James, a father of 12 children, had two wives, but not divorced. Also his son John and his son James, who emigrated to a ranch in Kansas U.S.A. Then my Grandfather, John Henry May, a Coldstream Guardsman and farmer with his children, Arthur, Doris, Rene and Reg.